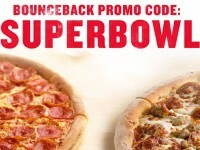 Papa John’s is currently running a promotion that coincides with the MLB all-star game. 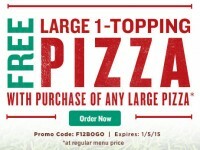 The day after you order, you will receive 25 Papa Rewards points in your Papa Johns account. 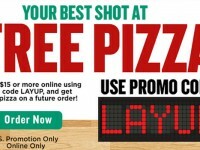 Once you have these points, they can be redeemed for free large Papa John’s Pizza with up to three toppings. 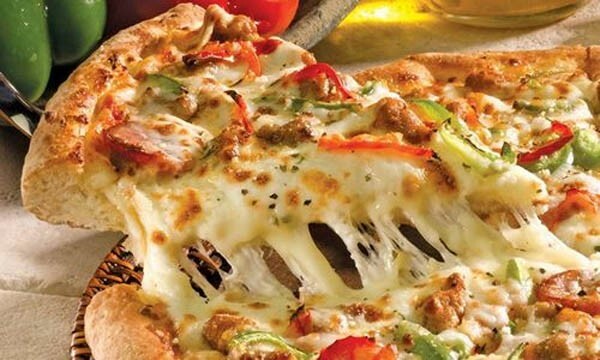 When redeeming your points, just use the code 25PAPA to get the pizza for free. What makes this deal great, is it is stackable with other deals, so you can use the ALLSTAR code along with other promo codes to get some excellent deals, however you still have to order at least $15 to make it work. Here is a link for more details.